When the BMQG announced they were looking for volunteers for their BOM I immediately knew I wanted Febraury. 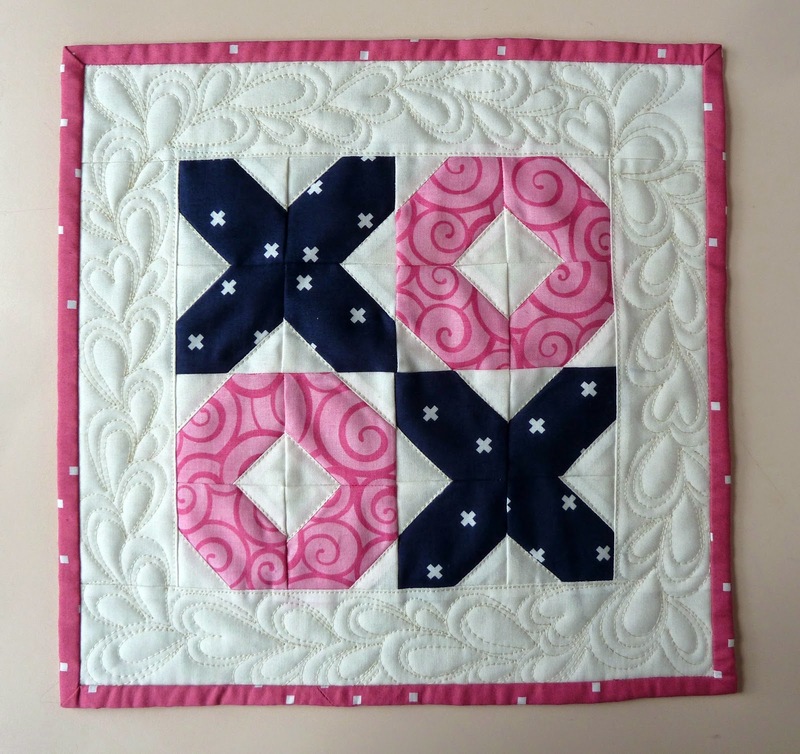 My Be Mine block was inspired by my Hugs & Kisses table runner. The awesome thing about this block is that it is made entirely of a single component so while it seems like it has a lot of pieces it goes together quickly and is perfect for chain piecing. Since I had to scale this block down I wanted to make a test block to check my measurements. It seemed like a perfect excuse to make another Valentine's Day pillow to add to my collection. The full tutorial for making the block is available on the BMQG blog. Since an 8" block is a bit small for a pillow I added a 2 1/2" border, perfect for more of my beloved heart paisley FMQ. In the interest of time and so I didn't have to go out in a blizzard to get a zipper I did a simple envelope closure back with this fabulous Sis Boom print. Then I realized I didn't have a 12" pillow form so out in the snow I went... story of my life! 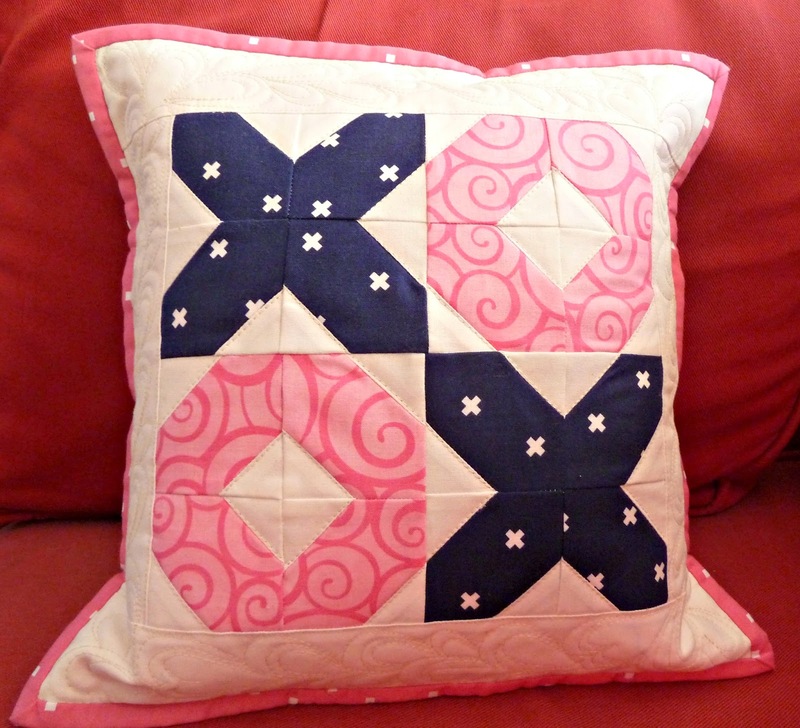 Finished pillow cover is 12" x 12"
Fabrics: S'mores by Me & My Sister, XOXO Navy Cotton + Steel Basics, Kona Snow. Backing: Midnight Melody from Sis Boom's Beauty Queen Collection. 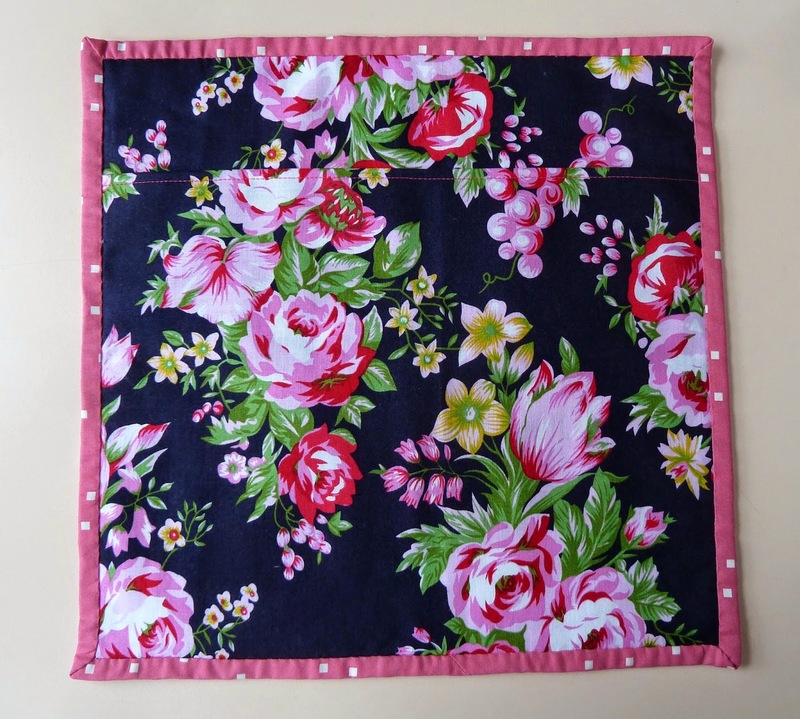 Binding: Sherbet Pips by Aneela Hoey. Very pretty Valentine pillows! Your heart paisley quilting is wonderful! Thanks for the link to the pattern! So cute! The cushion is a fab addition to your collection! Love it! It turned out fabulously, and your paisley FMQ is just gorgeous. Maybe I'll start working on my FMQ after I get my good sewing machine serviced. You've inspired me! I love all your Valentines pillows together, they're so sweet. The quilting on this pillow is just perfect.